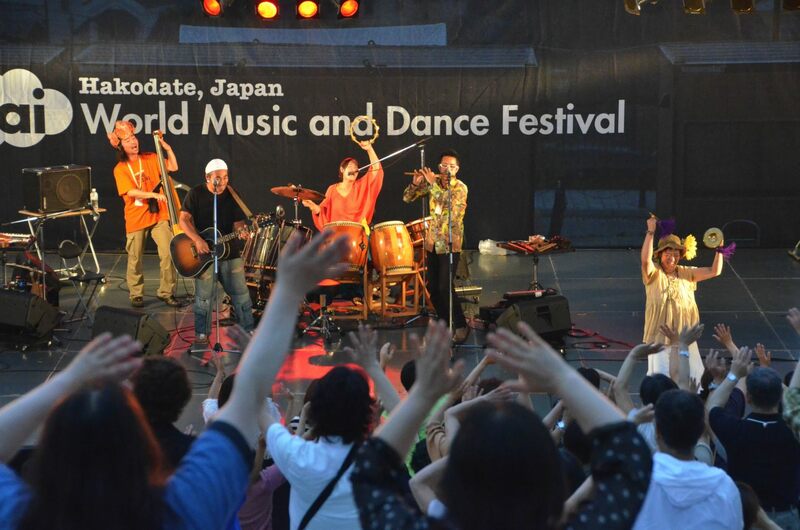 For the 5th day of WMDF, we announced that we would run from mid-day, and were very lucky that no rain then interrupted the day’s performances. The overnight rain made it look unlikely that any stages would be possible, but the efforts of our staff to protect the site during the night paid off. 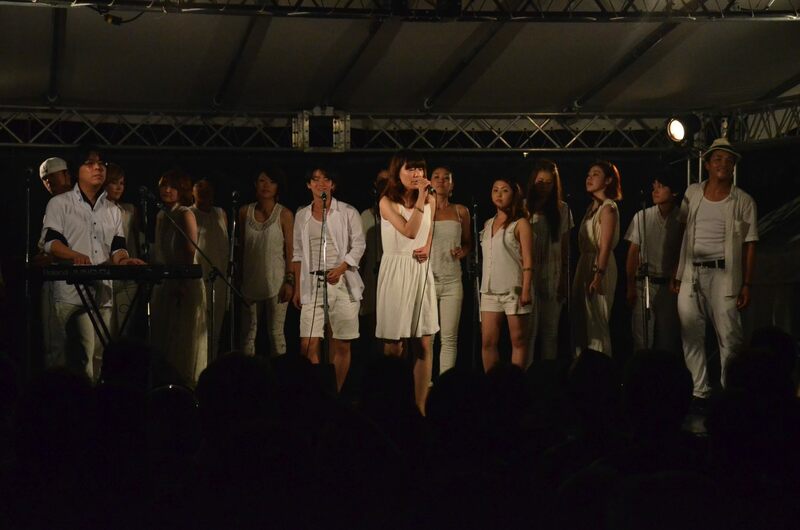 JR stopped trains around Hokkaido, but the Nakano Nanzumai Hozonkai from Iwate still managed to make it in time to perform (we switched their performance time with the performance of Hinokiya). Apologies to all the Hinokiya fans who were planning to see their favourite group late tonight. 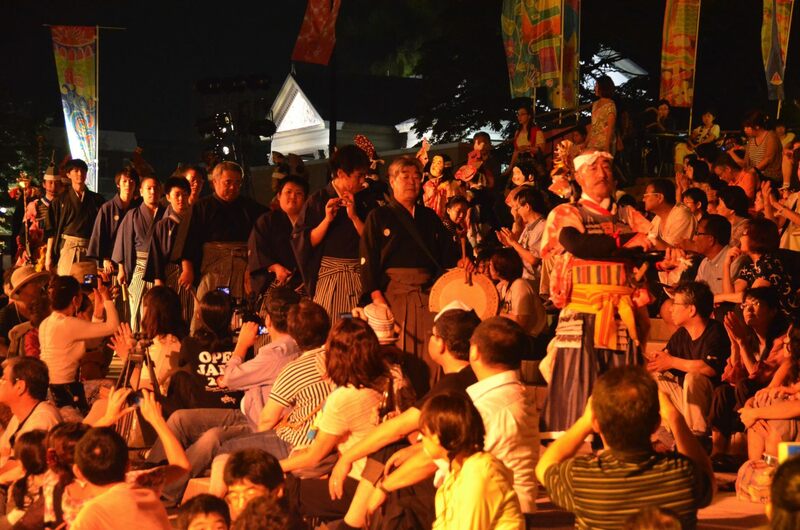 You have your chance on the final day after 9pm, when they play a Folk Dance Finale at the Bunda stage. We look forward to welcoming you on our final day, which starts at 14:00. It has been a long week of meeting new worlds. Let’s celebrate the last day together.